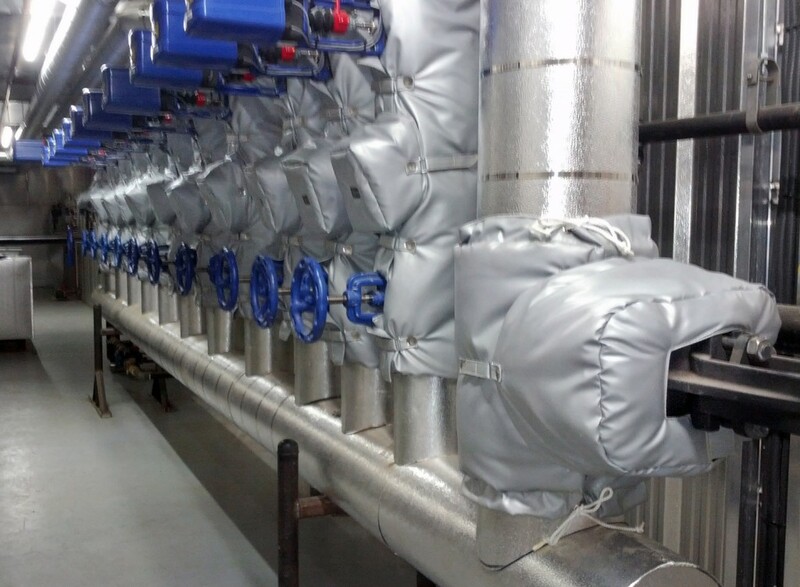 Equipment requiring service or maintenance needs a removable and reusable insulation solution to cover pipes, valves, fittings, tanks, turbines that are often badly insulated and where existing permanent insulation is often damaged or removed and not replaced. Pipes, valves, and fittings that are not insulated can be safety hazards and sources of heat loss. Prodimax custom designs and manufactures flexible, removable and reusable insulating pads to cover almost any surface. The pads are made of a non-combustible inside cover, insulation material, and a non-combustible outside cover that resists tears and abrasion. Depending upon the customer preference or application, wire laced through grommets, Velcro® straps or straps with buckles hold the pads in place. Advantages: High quality hand-made manufacturing according to your measurements, removable and reusable, flexible, waterproof, safe for the environment.